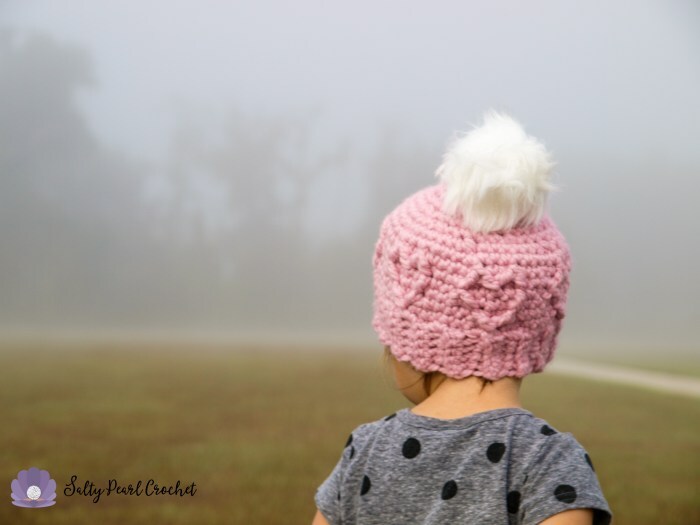 This amazing Chunky Cabled Heart Hat Free Crochet Pattern will help you make a perfectly sweet gift for your little one with very little time. Chunky yarn is combined with a cabling technique for a warm winter hat decorated with beautiful heart shapes. The pattern works up very quickly. The photo tutorial in the pattern will guide you through the process. The hat is perfect for expressing your love during the holiday season. Enjoy.